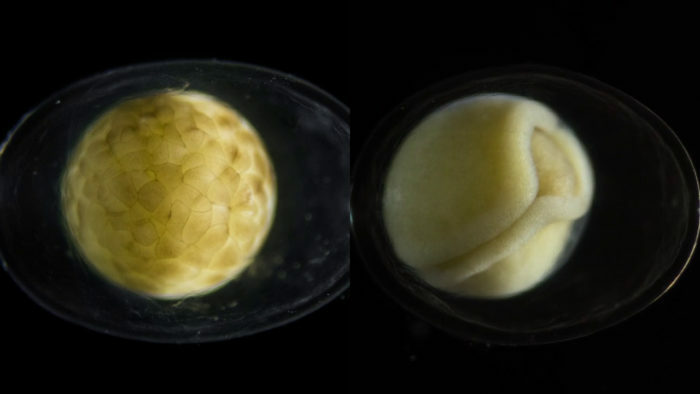 A Single Cell Into An Organism – That’s The Stunning Transformation This Short Film Shows! Feature films that runs for around 2 hours have a lot of scope. They can take the characters on a world-hopping journey, explore their flaws in detail and evoke a plethora of emotions. But short films don’t have that privilege, and they’ve to do the same within 10 minutes. However, that hasn’t stopped filmmakers from conquering that challenge. 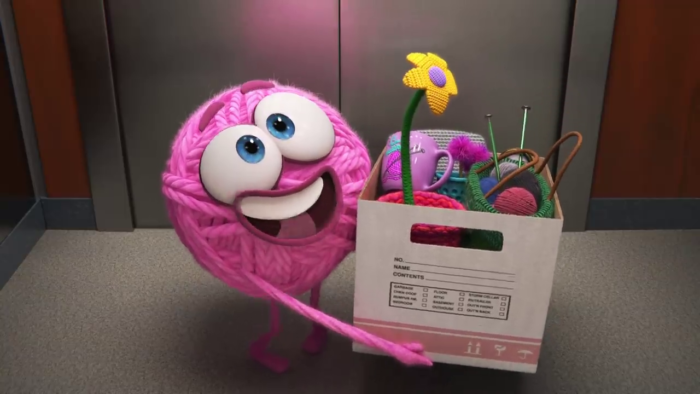 Pixar’s animated short, ‘Purl’ talked about gender equality in a workspace using a ball of yarn and a few white men. And now director Jan van Ijken has humbled audiences by showing the fascinating transformation of a salamander. According to Jan van Ijken, ‘Becoming’ is a short film about the “miraculous genesis of animal life”. 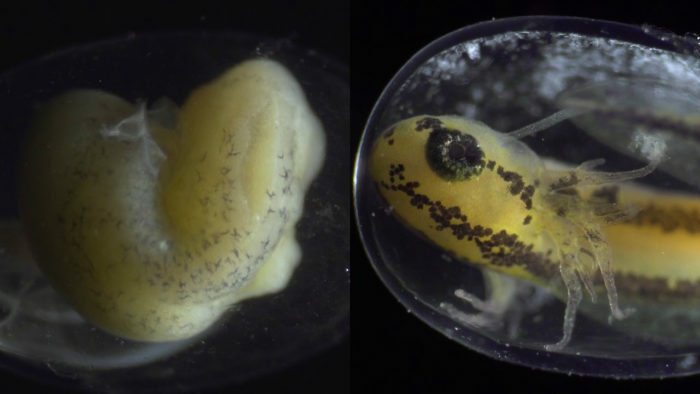 It’s a time-lapse of the development of a transparent salamander egg from fertilisation to hatching. Given how the first stages of embryonic development is very similar all animals, including humans, the short gives an idea of how we came into being. It shows a single cell transforming into a complex living organism with a beating heart and a running bloodstream. ‘Becoming’ has left netizens amazed and wondering how great how it would’ve been if they had this video during their school days. Comment from discussion wbonnefond’s comment from discussion "Watch a single cell become a complete organism in six minutes of timelapse.". Comment from discussion DisgustingMaggot’s comment from discussion "Watch a single cell become a complete organism in six minutes of timelapse.". Comment from discussion doscomputer’s comment from discussion "Watch a single cell become a complete organism in six minutes of timelapse.". Comment from discussion New-Backwood’s comment from discussion "Watch a single cell become a complete organism in six minutes of timelapse.". Comment from discussion myislanduniverse’s comment from discussion "Watch a single cell become a complete organism in six minutes of timelapse.". Comment from discussion CannibalCaramel’s comment from discussion "Watch a single cell become a complete organism in six minutes of timelapse.". Comment from discussion AlaskaCrateCo’s comment from discussion "Watch a single cell become a complete organism in six minutes of timelapse.". Comment from discussion FongoBongo’s comment from discussion "Watch a single cell become a complete organism in six minutes of timelapse.". Jan van Ijken’s ‘Becoming has been screened at more than 20 international film festivals. It has been nominated for best short documentary at InScience Film Festival, Planet in Focus, Filmfest Osnabrück, and many more. And it has won the award for best short documentary at Innsbruck Nature Film Festival, Split Festival, Nederlands Film Festival and 7 other film festivals.